What a success story is. Why it is important to tell success stories. What tools and strategies are available to develop success stories. The five elements of this framework are based on the plenary session for the Division of MCH Workforce Development Grantee Virtual Meeting (09/26/18), “How to Tell Your Program’s Story to Key Stakeholders,” given by Deborah Klein Walker, Ed.D. View each of the five sections below and corresponding learning opportunities for: 1) Why tell your story, 2) Engaging stakeholders, 3) Communication strategies and other vehicles for telling your story, 4) Case studies/examples of successful stories from the field, and 5) Additional resources. 1. 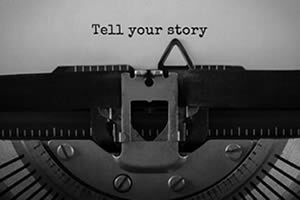 Why tell your story? Storytelling as Best Practice. Date Developed: February 1, 2012. Source: American Academy of Pediatrics. Presenter(s): Andy Goodman. Type: Webinar. Level: Introductory. Length: 57 minutes. Raising Community Voices: The Power of Storytelling in Public Health. Date Developed: April 6, 2018. Source: The Center for Public Health Practice and Leadership. Presenter(s): Elizabeth Bayne, MPH, MFA; Andrea Spagat; Lisa Peterson, MPH. Type: Webinar. Level: Introductory. Length: 91 minutes. Maximizing Community Stakeholders' Engagement. Date Developed: Unknown. Source: CityMatCH. Presenter(s): Tom Wolff, PhD. Type: Narrated Slide Presentation. Level: n.a. Length: 35 minutes. Getting Started and Engaging Your Stakeholders. Date Developed: Unknown. Source: CDC. Presenter(s): Leslie A. Fierro, MPH; Carlyn Orians, MA. Type: Webinar. Level: Introductory. Length: 50 minutes. Social Media for Public Health Practice: Twitter, Facebook and Linkedln. Date Developed: April 5, 2018. Source: Northwest Center for Public Health Practice. Presenter(s): Patrick O’Carroll, MD, MPH, FACPM; Bud Nicola. Type: Webinar. Level: Introductory. Length: 60 minutes. Communicating Science: Translating Research for Policy and Practice. Date Developed: June 27, 2013. Source: Johns Hopkins Bloomberg School of Public Health, Women’s and Children’s Health Policy Center. Presenter(s): Marjory Ruderman, MHS. Type: Webinar. Level: Introductory. Length: 19 minutes. Research to Reality: Making Data Talk -- Communicating Public Health Data to the Public, Policy Makers, and the Press. Year Developed:2010. Source: National Cancer Institute. Presenter(s): David Nilson, MD, MPH; Brad Hesse, PhD. Type: Video. Level:Introductory. Length: 60 minutes. The MCH Training Program: An Evaluation. National Center for Education in Maternal and Child Health. This report describes the role of the Maternal and Child Health (MCH) Training Program in planning and supporting training designed to produce state, community, university, and professional association leaders who can advocate for children and mothers and continue to effect change that saves lives and enhances health. The report concentrates on MCH Training Program accomplishments in four areas: training students for leadership, developing new fields and providing information and expertise, supporting faculty, and enhancing collaboration. Impact and value: Telling your program's story. CDC. The purpose of this workbook is to help public health program administrators understand what a “success story” is, why it is important to tell success stories, and how to develop success stories. Mentoring in Our Lives— the Voices of Students and Maternal & Child Health Professionals. National Center for Cultural Competence. An effective use of short video to tell stories and show impact. Storytelling Handbook. Hawaii State Department of Health, Emergency Medical Services & Injury Prevention System Branch. Hawaii State Department of Health, Emergency Medical Services & Injury Prevention System Branch, Storytelling Handbook. March 2016. Centers for Disease Control and Prevention, Impact and value: Telling your program's story. 2007.